In today’s new car market, technology is advancing safety and luxury options and, at the same time, customers are becoming smarter and demanding must-have features. 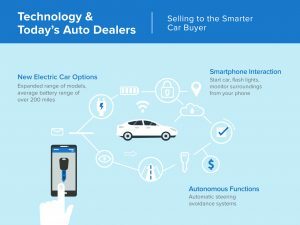 Keeping current with auto technology and customer trends can help car dealers drive more success for their businesses. The latest features being added to current automobiles center on enhanced safety and the integration of smartphones. The development of autonomous technology has produced steering avoidance systems that can automatically swerve to miss objects in the road or keep your car centered in its lane. Also, semi-autonomous driving functions are now available to help drivers on the road. In addition, digital gauges are more common, as opposed to static, physical gauges. This allows the driver access to a more dynamic screen for viewing important information such as vehicle behavior, fuel efficiency and navigation directions. Car manufacturers have created mobile apps that enable smartphones to interact with vehicles remotely. Drivers can now start the car, flash the lights and monitor the car’s surroundings all with a tap of their phone. Plus, today’s automobiles have a wireless charging capability through center console charging pads. For the first time, electric cars will feature an average battery range greater than 200 miles. The biggest barrier keeping car buyers from purchasing electric vehicles are higher price tags. However, the continually decreasing prices for lithium-ion batteries has led to a decline in the total cost of an electric vehicle. This year, more auto manufacturers will be expanding their line to include new electric vehicle models. In addition to the currently available sedans, consumers will now have several SUV options to choose from, which could be a big step towards electric vehicles becoming more mainstream. The internet has given car shoppers a leg up on automobile research. 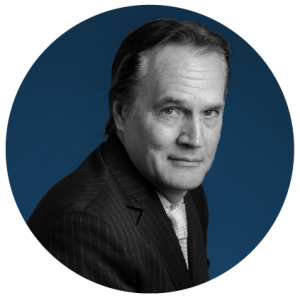 Now, when consumers arrive at a dealership, they are already prepared, knowing car features and cost comparisons. Because of this, consumers are spending less time shopping at dealerships, which means car dealers are faced with less time to make a sale. By using the same online resources as the customer and being open about it, dealers can develop a credible trust with potential car buyers. Some dealers have begun keeping print outs of the Kelly Blue Book statistics to further show customers that they too are looking at this research. 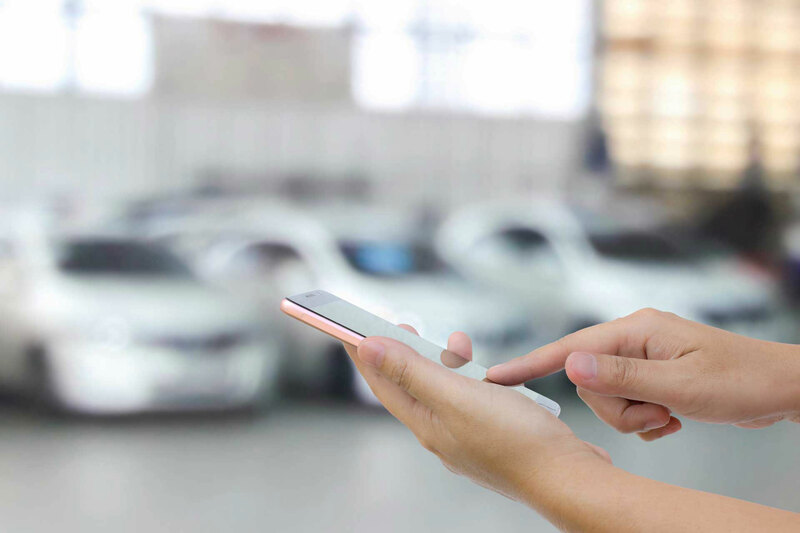 By keeping on top of technology and ever-changing customer car preferences, auto dealers can add value to their businesses. 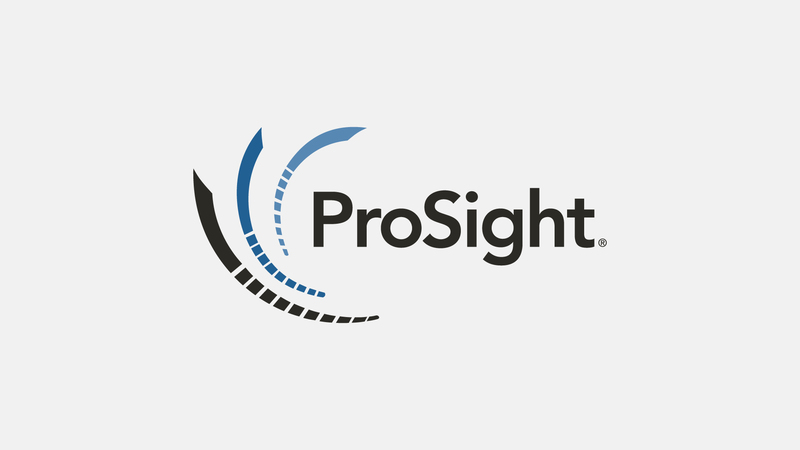 ProSight also adds value with unique products and solutions customized for auto dealers that go beyond traditional insurance coverage.